By the time he’s dispensed with the obligatory winter cold, Ahir Shah will be cracking on with a major UK tour. And, he’s especially looking forwards to his Brighton & Hove date. “I like standing on the seafront looking wistful. It’s one of my top five hobbies,” he playfully tells me. 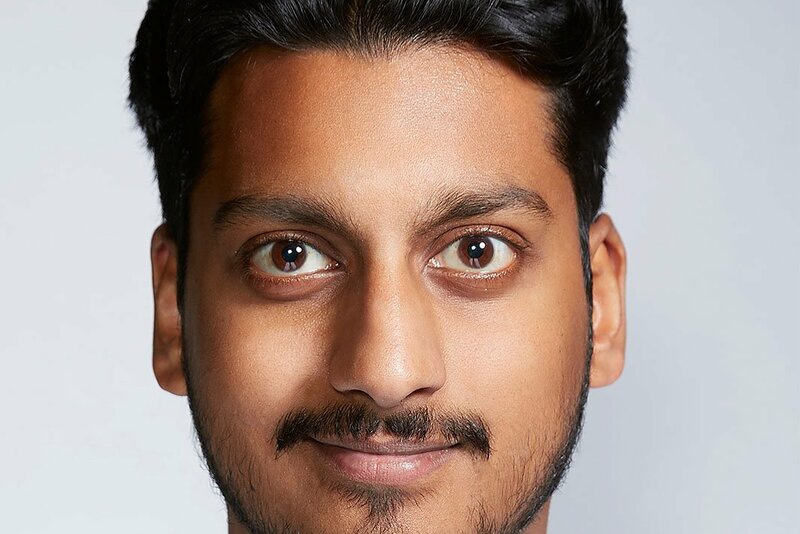 Entitled Duffer, his current offering earned him a second Edinburgh Comedy Award nomination last year with its warm and philosophical look at death, family and migration. A large chunk of inspiration was drawn from a 2017 trip to India. “Initially I went to do a stand-up tour of a few different cities, then visited some family members – including my grandmother, who lived in the UK with our family. She raised me until I was five, when she was deported.” His nan’s gently mocking nickname for the young Shah, which translates as ‘clown’, lends the show its title. First presented just as the Windrush scandal was unfolding, the show demonstrates injustices like these are not a new phenomenon. The experience, paired with an acceptance this was probably the last he’ll spend time with his grandmother, has taught him familial time is precarious and to appreciate it more than ever. An enormously in-demand talent (he’s racking up plenty of writing credits in addition to his own stand-up work), Duffer succeeds because its writer is well-informed and can speak from experience. It’s a lovingly thought-out hour of tackling hypocrisy and a questionable obsession with the origins of a certain Queen song. Ahir Shah comes to Hove’s The Old Market on Thurs 28 Feb.